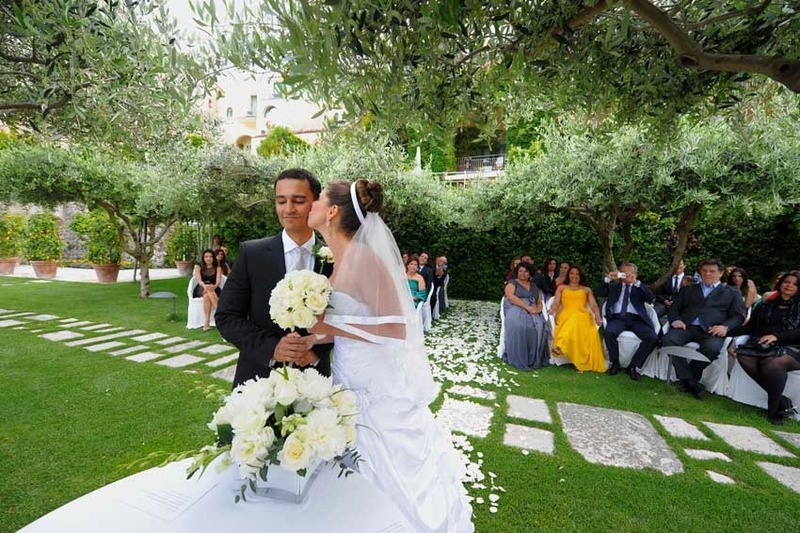 If you are planning a Protestant or blessing ceremony, Ravello is a perfect destination because it offers different refined venues of enchanting charm and beauty. 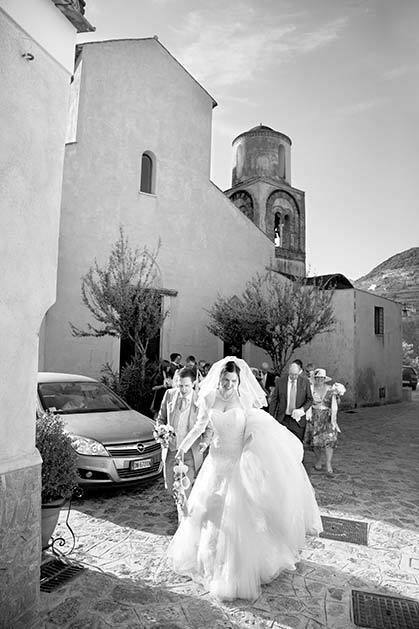 To those couples desiring a church ceremony, we recommend the intimate chapel of Santa Maria, which is located within walking distance from the central square of town and the panoramic gardens of Villa Rufolo. The church with its simple Roman architecture and whitewashed wall interiors is suitable to any type of floral décor and design. 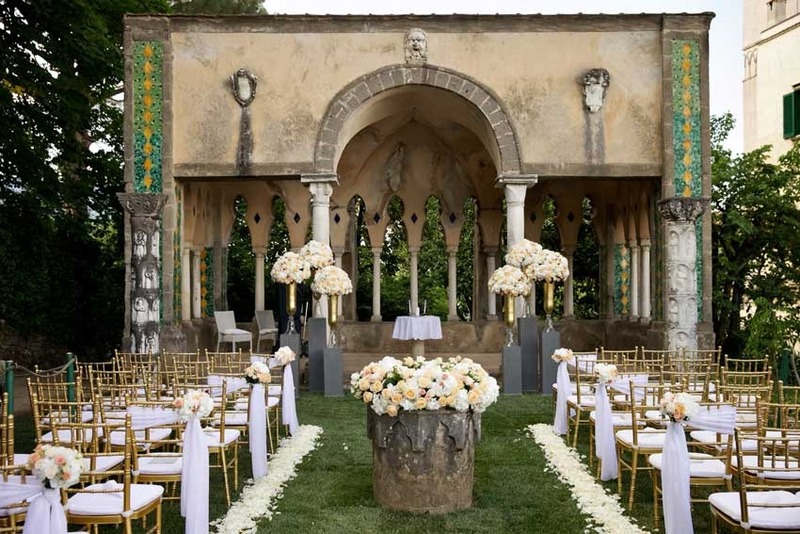 If you are planning an outdoor religious ceremony you may consider the Moorish Temple at Villa Cimbrone, which is surrounded by a luxuriant garden with colorful flowers and Mediterranean Plants. The villa is located in a secluded area of town, only 15 minutes walking distance from the main square and it offers accommodation up to 40 people. Refined and luxury venue. Not far from the historical center of town, Villa Eva is a typical Mediterranean style Villa with a panoramic garden overlooking the coast offers a perfect setting for an outdoor wedding ceremony and reception! For very discerning couples we highly recommend the fabulous Luxury Hotel Caruso, located in the very heart of town. 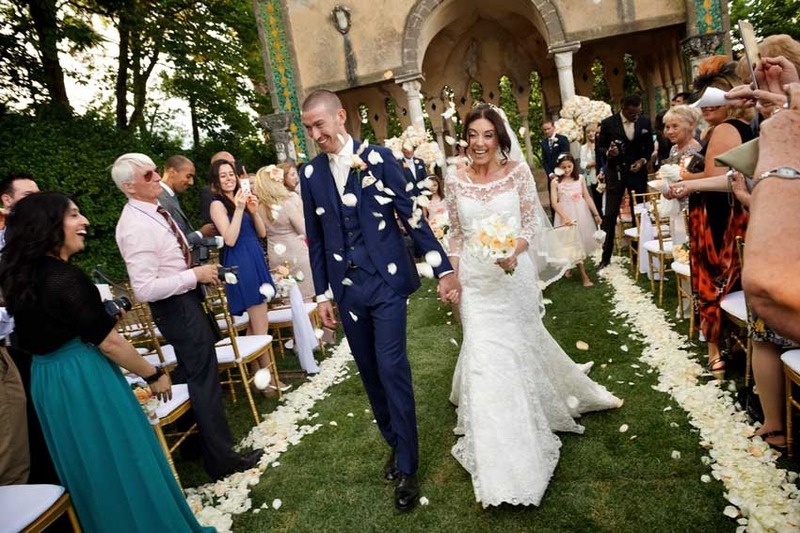 Ceremonies can be performed in one of its panoramic terraced gardens overlooking the coast and followed by a truly refined top class wedding reception. There is the possibility to perform two types of protestant ceremonies. The first is celebrated by an Italian Pastor that has the authority to perform legally binding weddings in Ravello. The ceremony is co-officiated by an English-speaking interpreter. The second is performed by an English-speaking pastor and the ceremony is religious only (not legally binding). 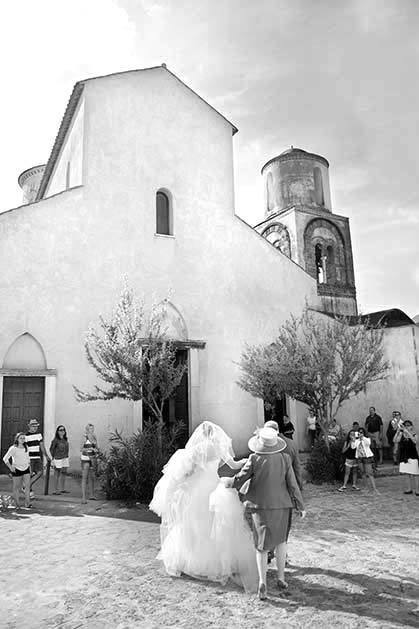 The best time of the year to plan a protestant wedding in Ravello goes from April until the end of October. 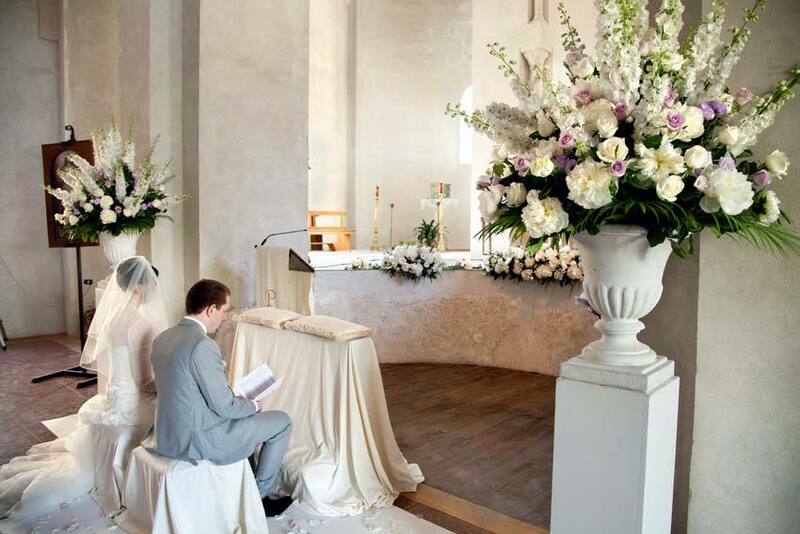 It is suggested an advanced booking in order to complete all necessary paperwork requirements and ensure that the celebrant is available on the requested wedding date. For more specific information and pricing information on the venues listed please contact us.